Can't find your car or truck transmission? Locate a rebuilt or used transmission here! In case you are wondering as to what really takes place in the rebuilding process of your Chevy automatic transmission, here is some information that you can use. The automatic transmission fitted to the engine of your Chevy car is removed and is disassembled. The word disassembled is apt as the entire assembly of the automatic transmission is completely reversed. Each and every component is laid out separately. All the components are given special attention during its inspection. Each and every component is cleaned and is replaced if necessary. During the rebuilding of a Chevy automatic transmission, all components that come in contact with each other are replaced by new components. The replacement of these components renders the automatic transmission of your Chevy car as good as new. This rebuilt automatic transmission will last for another twenty to thirty thousand miles. Your rebuilt Chevy automatic transmission is rendered free of any and every design defect that it may have been suffering since production. The transmission is completely assembled and is ready to be fitted into the vehicle. 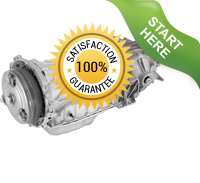 This certified transmission re-builder offers high power high quality remanufactured Chevrolet / Chevy automatic transmissions for most cars, trucks. Our transmission supplier has maintained a unique 2.5% failure rate during its 30 years in the transmission business. Get peace of mind; Buy a rebuilt Chevrolet / Chevy transmission today! 2008 Chevrolet / Chevy Truck W/ALLISON Trans. Fits: 2008 Chevrolet / Chevy Truck W/ALLISON Trans. Chevrolet / Chevy Truck "tiltmaster"
Chevrolet / Chevy Truck W/ALLISON Trans.